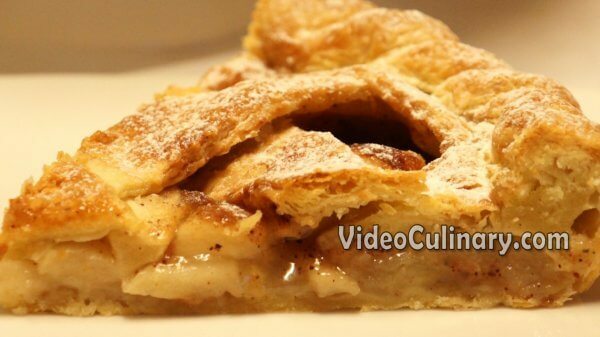 Apple pie is one of the most popular American desserts. 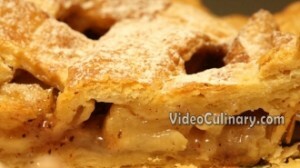 Try this old-fashioned, traditional recipe for lattice crust apple pie. 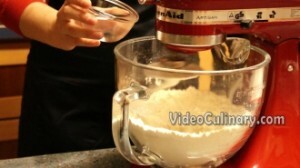 Make the pie dough: Sift 450 grams (16 oz) of flour into the mixing bowl of a stand mixer. Add 1 teaspoon of salt, and mix. 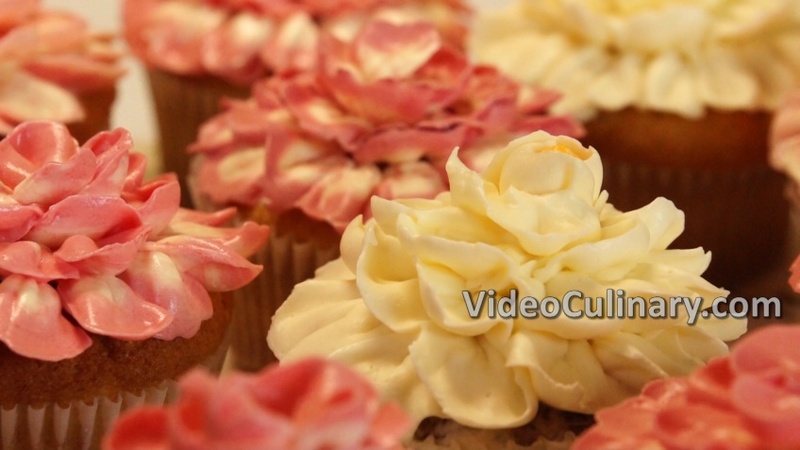 Cut 300 grams (11 oz) of cold butter into small cubes. Add into the mixing bowl and mix using the hook attachment, until the butter cubes are the size of peas. 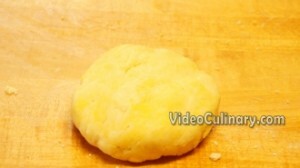 Add 150 ml (5 fl oz) of ice-cold water at once, and mix just until the dough forms. You do not have to use a stand mixer to make this dough. You can grate the butter into the flour using a box grater, or use a knife to cut the butter into small pieces and work the dough by hand. 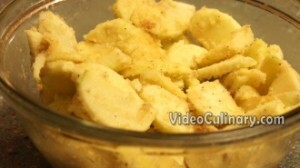 Make the apple pie filling: Wash, peel and core 800 grams (30 oz) of apples. 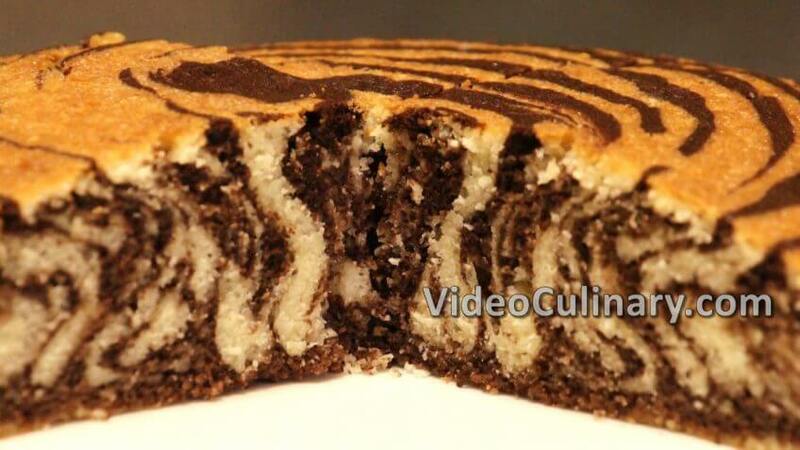 Cut into 0.5 cm (0.2 inch) thick slices and place in a bowl. Add a pinch of nutmeg, 0.5 teaspoon of cinnamon, the juice of half a lemon, 150-170 grams (5-6 oz) of sugar, 25 grams of cornstarch, 25 grams of flour (1 oz), 30 grams (1 oz) of melted butter and mix. Remove the pie dough from the refrigerator (Give it a few minutes at room temperature if it is too hard). Roll ⅔ of the dough into a 2-3 mm thick round, about 35-37 cm (14 inch) in diameter. 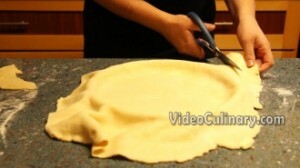 Gently press the dough into a 26 cm (10 inch) in diameter pie/tart pan. Trim the edges, leaving 3-4 cm overhang (1.5 inch). 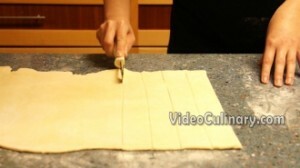 To make a basket weave crust (lattice pattern) ,roll the remaining dough 3 mm thick and cut into 2-3 cm (1 inch) wide strips using a pizza wheel. 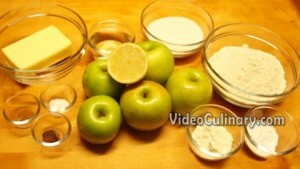 Spread the apple filling evenly into the pie pan. 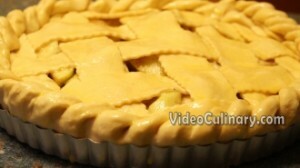 Make a lattice pattern: lay 3 parallel strips of the dough onto the pie, with 1 cm space between them. 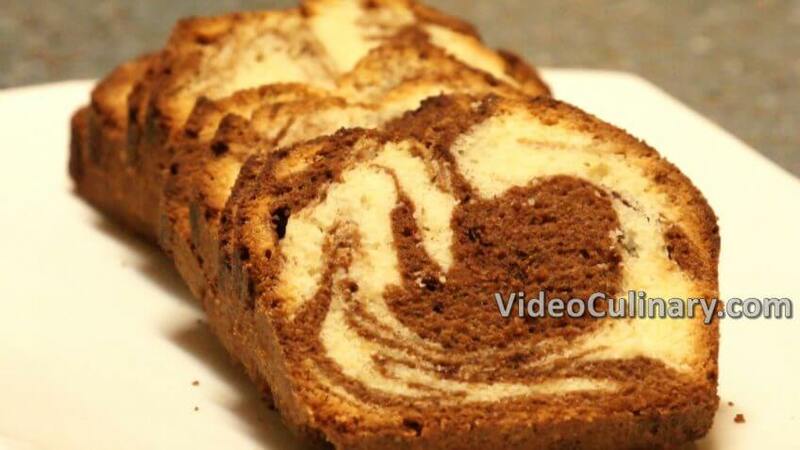 Place perpendicular strips of dough, folding down and over every other strip. 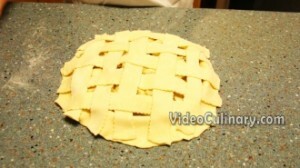 Then turn to the other side of the pie, place 2 more parallel strips onto the pie and weave the strips down and over. Trim the strips, fold the edge to seal, and crimp or shape a rope edge. Brush with egg wash.
Bake at 190°C (375°F) for 45 minutes. 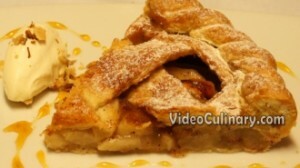 Remove from the oven, cool, place on a serving plate, dust with powdered sugar and serve. 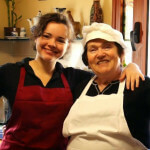 Visit our website for a classic Tarte Tatin recipe, Easy apple cake (sharlotka) and for a braided apple Danish pastry.